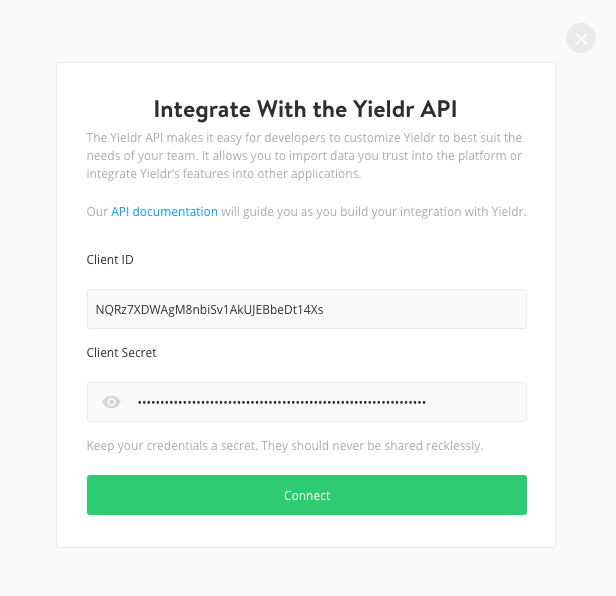 In order to use the Yieldr API you must first create a Yieldr API integration for your project. You have probably already done this, but if you haven't head over to integrations. 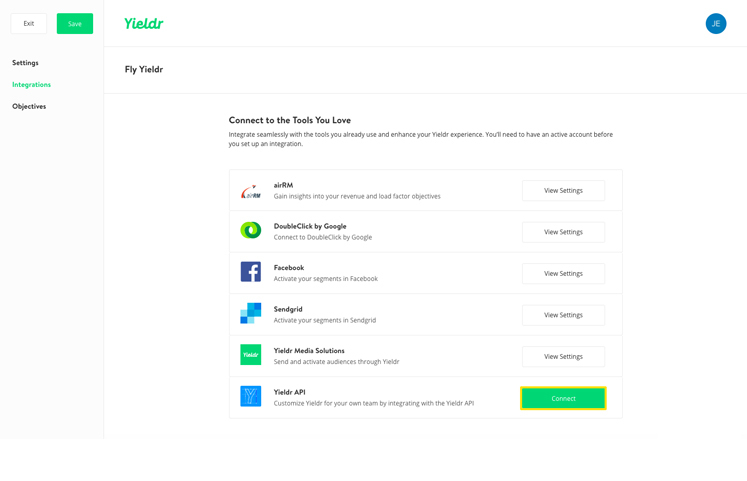 Press the Connect Button in the Yieldr API. This will open up a screen that contains your client_id and client_secret which you can use to authenticate. Authentication is accomplished using the OAuth2 authentication framework. The next step is to request an Access Token. Head to Postman and use this client_id and client_secret in the environment settings of your collection. Please note that whenever you want to change your client_id and client_secret, this can be arranged by pressing the disconnect button in the Yieldr API integration and then reconnecting it.